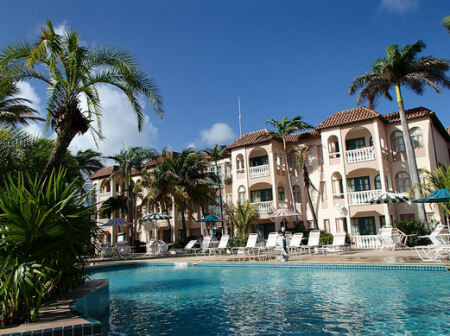 Caribbean Palm Village Resort in Aruba - Bid Per 7 Night Stay in a Studio or 1 Bedroom Suite! 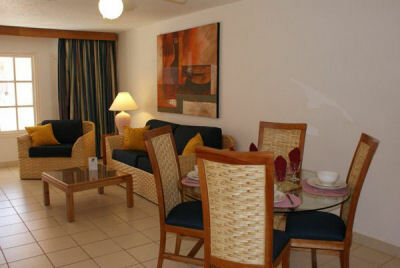 Enjoy 7 Nights in a Studio or 1 Bedroom Suite at the Caribbean Palm Village in Aruba! 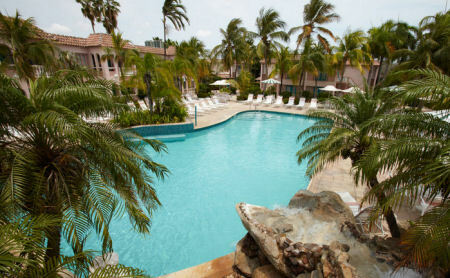 Caribbean Palm Village enjoys a peaceful and private setting, in the midst of a lush tropical garden. The resort offers two- and three-story condominiums surrounding two pool areas, each with a whirlpool. Among other on-site amenities are a restaurant and pool bar, tennis, and barbecue areas. Many nightclubs and casinos are less than a mile away. All units come with king or queen size beds, bath and shower, telephone and direct dialing, color television with satellite reception, air-conditioning, ceiling fan, and fully equipped kitchen. Your Studio Unit will accommodate up to 2 people. 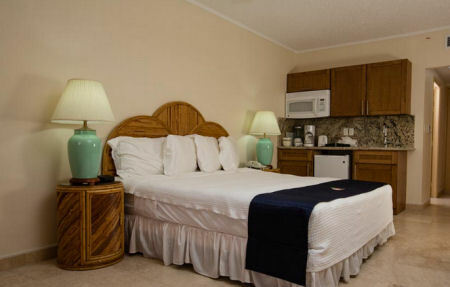 Or Upgrade to a 1 Bedroom Suite for only $150 for the Week! Your 1 Bedroom Unit will accommodate up to 4 people and has a full kitchen. Washers & Dryers in buildings A, B, E & G.
Fitness center with airconditioning, treadmill, bicycle, body-work out station and free weights. Weekly Welcome Cocktail Party on Tuesdays from 5pm to 6pm. Required Surcharges (energy, accommodations/occupancy tax, bed tax, fees or other miscellaneous) ARE THE RESPONSIBILITY OF THE OCCUPANT AND ARE PAYABLE DIRECTLY TO THE RESORT. Surcharges are subject to change without notice. Nightly charges: Studio, government taxes USD 9.50, resort utility/energy fee USD 7.50; one bedroom unit, government taxes USD 10.28, resort utility/energy fee USD 8.50; two bedroom unit, government taxes USD 11.88, resort utility/ energy fee USD 10.00. Guests are responsible for payment of a government imposed environment levy, assessed on all units one time per stay. 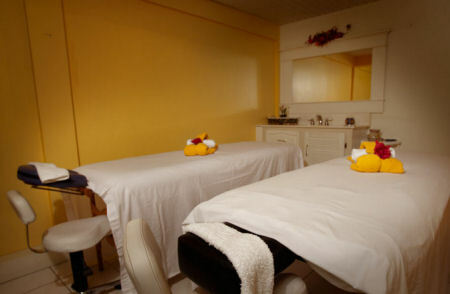 Levy per unit, per week: Studio, USD 10; one bedroom,USD 15; two or more bedrooms, USD 25.